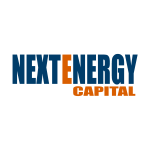 NextEnergy Capital Group (“NEC”), the leading international solar investment and asset manager, is very pleased to announce the promotion of Ross Grier to Managing Director UK. Ross has been a key team member contributing to NEC’s success in the UK. He joined NextEnergy Capital in 2013 and participated in the IPO of NextEnergy Solar Fund Limited (NESF.L) and its subsequent growth to become the largest listed pure-play solar company in Europe.